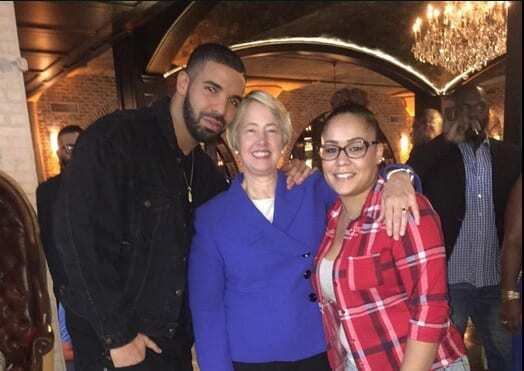 Drake and the OVO crew are heading back down to Texas this weekend for the second annual “Houston Appreciation Weekend,” or “HAW.” This year, Drake is turning Memorial Day Weekend into a full series of events, with a tribute to Bun B, charity softball game, performances from Future, Fetty Wap, and Boosie Badazz, and then the first stop of Drake’s “Jungle Tour” to cap the weekend. Drake and OVO will use the weekend to raise awareness and money for a variety of charities in the Houston area, with tickets for the softball game available here. Additionally, OVO just released Eric Dingus‘ new HAW2 mixtape, which you can find below along with the full schedule of events for the weekend. This is the second such Houston Appreciation Weekend that the Canadian-American rapper has hosted. The Bun B tribute was hosted last night… a star-studded affair that included the likes of Houston Mayor Annise Parker, several City Council members and other elected officials, as well as other music industry movers and shakers. But the weekend is just getting started. Tonight, Drake hosts a Celebrity Softball Game over at the University of Houston’s Cougar Field, and performs to a sell-out crowd at Toyota Center Sunday night, with lots of high profile appearances in between. Also is it pure coincidence that in the midst of Drake showing some major love for the Third Coast that a mysterious collaboration with Houston native Beyoncé leaked online to a swarm of social media attention. The tracks also features vocals from OVO crew collaborator Sal Houdini. “Can we” have more of this, please?? If you’re around town, be on the lookout for some serious star power, and be safe this Memorial Day Weekend.